Are you looking to craft your best marketing campaign and stay ahead of the curve? 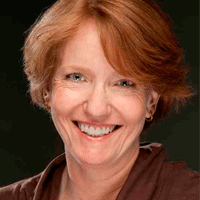 Want to learn the emerging trends that your company should utilize and embrace? Are you simply looking to gain a better understanding of what marketing is and why it’s so important? Whether you’re a beginner or an expert, we’ve put together this list of the best marketing blogs on the web to answer all of these questions. Our goal with creating this list is to showcase insights from influential leaders in the marketing industry. We wanted to present you with unique perspectives and valuable marketing news, and each blog here achieves this with their innovative thoughts and diverse expertise. Favorite Recent Article: 8 SEO Experiments to Test in 2018: In order to determine what SEO strategies you should and shouldn’t use, try utilizing consistent experiments. To achieve this, you will want to test out factors such as nofollow links, different keywords, and social signals. 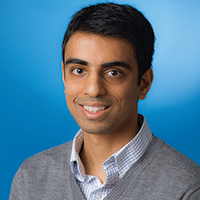 About the Blog: The Neil Patel blog covers numerous aspects of the marketing industry, to help countless professionals achieve their marketing goals. Topics that are covered are conversion rate optimization, ecommerce, content marketing, and social media. 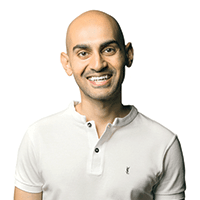 Neil Patel is a New York Times best-selling author and he’s also been featured in some of the most influential magazines including Forbes and Entrepreneur Magazine. Favorite Recent Article: Why It Can Pay to Get Links from Domains that Don’t Always Rank Highly – Whiteboard Friday: Discover the pros and cons of targeting links from high-ranking sites and learn why you should consider alternative link intersecting strategies. About the Blog: The Moz Blog has a lot of useful content centered around how to best leverage the web to market your business. Some information deals with general website issues, such as whether you should use relative or absolute URL’s for your site pages. Other posts, deal specifically with how to leverage an individual product/service for your business marketing, like their article on using Buzzsumo to generate content ideas. 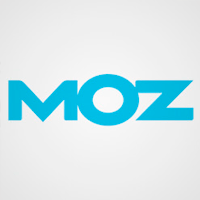 Whatever your online marketing need, odds are Moz has an article that will help you out. Favorite Recent Article: 5 Social Media Trends to Expect in 2018: Whether you’re a business owner, an executive, a social media manager, or just a consumer of social media, you need to be ready for these five trends. Discover what’s next for social in 2018, why you should care, and what you should do to adapt. 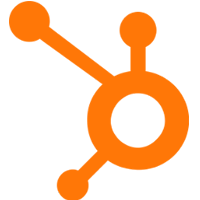 About the Blog: HubSpot’s Marketing Blog – attracting over 2 million monthly readers – covers everything you need to know to master inbound marketing. Their blog provides a diverse range of insight and ideas for modern-day marketers to start embracing and utilizing today. The variety of topics that they discuss include branding, infographics, team leadership, and social media. Favorite Recent Article: The Ultimate Guide to Controlling Crawling and Indexing: Taking control of the crawling and indexing process is something every SEO should do, but reliable information is scattered and it’s often hard to choose the right method for the right situation because there are so many dependencies. ContentKing addressed this by putting together an extensive piece on the subject by researching the topics extensively and interviewing SEO experts. 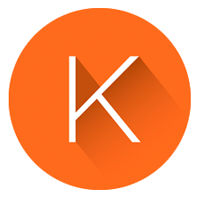 About the Blog: ContentKing updates and articles around new developments, such as Google extending meta description length, or storytelling type articles are published on their blog. Then they have an academy section where they try to educate people on SEO subjects. You’d think everything has been written already about all of these subjects but that’s not true. And even if it were, there’s an increasing amount of people looking for this information so it makes sense to publish about it. While researching and debating these topics with SEO experts they learn a ton too, which they then use to further develop ContentKing. 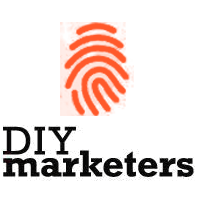 About the Blog: DIYMarketers creates a variety of content focused on helping small business owners find creative and low-cost marketing ideas that they can quickly put to use in their business. If you’re not pulling in as many customers, follow this process to tweak your marketing message or maybe you’ve got a big presentation coming up and you’re looking for a presentation tool that will knock them off their feet, DIYMarketers has you covered. 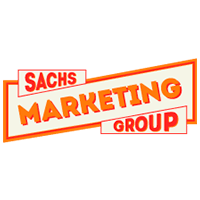 Favorite Recent Article: Marketing Comes Back to It’s Roots: This article looks at how most advice from so-called “marketing gurus” isn’t worth the blog platforms they’re written on. That’s because most advice has little basis in reality and is merely a regurgitation of everyone else’s marketing articles based on hopeless, flawed, and ineffective ideas. About the Blog: In order to compete at both a local and global level, today’s small business needs to implement smarter, customer-driven buying experiences if they’re to remain relevant in the minds of their audience. The KEXINO Marketing Blog provides thoughts, opinion, tips, and advice for start-ups and small businesses looking to develop meaningful and shareable experiences that increase awareness, reputation, trust, and sales. Favorite Recent Article: How Marketers Are Getting Their Message Across in an Ad-Blocking World: If you’re struggling with your online marketing strategy, ad-blockers may be a contributing factor to a weaker digital presence. This article provides key information to overcome ad-blockers and reach your target audience through meaningful methods and platforms. About the Blog: Kissmetrics is committed to thoroughly connecting with their audience and delivering the most helpful features, messages, and content in a timely manner. They firmly emphasize the importance of providing an exceptional user experience in order to maximize and strengthen user loyalty. Kissmetrics works with companies to present them with the tools that they need to achieve their goals and reach their unique customer bases. Favorite Recent Article: The Ecommerce Guide to Online Marketing: How to Drive Traffic, Get More Sales, and Keep your Customers Coming Back: This is not the first “Complete Guide to Ecommerce Marketing” ever written – far from it. Instead of offering vague best practices from 2015, it enables readers to open the guide in one window and a piece of software or ad platform in another and get sh*t done. And it’s real, using a hypothetical business to show you exactly how to grow your own brand through ads, website optimization, email marketing and more. 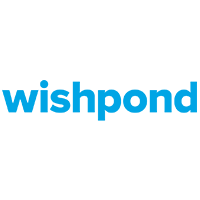 About the Blog: The Wishpond blog delivers comprehensive guides on digital marketing. They write on everything from social media to email, lead generation, site optimization and marketing automation. They publish three to five times a week and pride themselves on long-form, complete walkthroughs for businesses of all sizes. Favorite Recent Article: E-Commerce Copywriting 101: How to Write Killer Product Descriptions: In the above post, Sleeknote shows readers how many of the best e-commerce brands online engage and entice readers to buy using proven copywriting principles. Plus, how the reader can, too. About the Blog: The Sleeknote blog was created with the aim of providing unique and informational content to fellow ecommercers, and share everything they learn with like-minded marketing geeks. The writers strive to make every piece of content educational and full of easy implementable tips and tricks that all ecommerce businesses can make use of. Favorite Recent Article: How to Start a Blog and Succeed in 2018: First written four years ago, this blog post is completely re-launched every year as a massive guide on how to start a blog and make it successful. It’s almost 4,000 words on the most up-to-date strategies, platforms, promotional methods for getting shares and links, and details on how you can make your blog as useful as possible. With almost 170 comments from other bloggers giving their own tips, it’s a post we hope is helping a lot of new and old bloggers alike. About the Blog: In his first year of college, Ramsay was lucky enough to sell a blog for 5-figures and since that time he’s been running blogs and online businesses with the goal of making an income from home and avoiding a “real” job. Blog Tyrant was set up as a place to share blogging, SEO, and online marketing strategies that have worked for him in the hope that they work for you too. He tries to only cover topics that he is personally experimenting with. Favorite Recent Article: The State of Social 2018 Report: Your Guide to Latest Social Media Marketing Research: The State of Social 2018 Report compiles insights from more than 1,700 marketers to show how marketers from all sizes of businesses are approaching social media in 2018. Favorite Recent Article: The future of email marketing and Automation – 2018 edition: Every year readers eagerly await Jordie’s EPIC email marketing trends overview. All businesses should find some insightful nuggets in the trends of the most trusted email marketing channel. 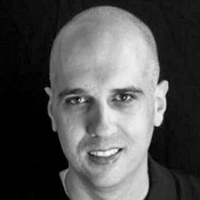 About the Blog: Jordie van Rijn is the man as it comes to email and automation. He shares from his more than 13 years of experience following the slow, but too good to be free method of posting on his site. Favorite Recent Article: 50 Ways to Create Creative Content That People Read and Share: This post lists out fifty ways for you to ensure your content is creative, interesting, and relevant to your audience. With these tips, your audience will have no trouble with connecting to your to your content and sharing it with their friends, family, and other circles. 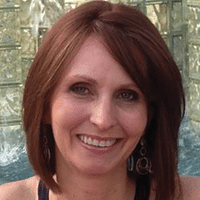 About the Blog: The One-Click Lindsey blog is meant to be a resource for anyone looking to up their online marketing game to generate more traffic and leads for their small business. 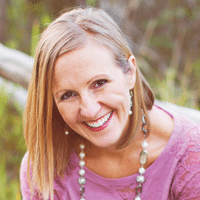 One-Click Lindsey shares podcasts, videos, blog posts, and other resources about a variety of topics falling under the “online marketing” umbrella. Favorite Recent Article: What Cryptocurrency Means for Digital Marketers: A look at how blockchain and cryptocurrency could throw a wrench into popular digital marketing tactics. Favorite Recent Article: How to Create Effective Content Without Adding More to Your To-Do List: Since content is front-and-center in your strategy, it’s important not to take it lightly. This article provides the tips you’ll need for effectively outsourcing your content. About the Blog: Duct Tape Marketing focuses on simple, effective, and affordable marketing solutions for small businesses. The innovative packages that they offer assist with several important aspects of digital marketing including content marketing, SEO, social media, and reputation management. Favorite Recent Article: Get Started in 2018 With an Updated Multi-Channel Digital Marketing Strategy: In a world were digital presence is key, it’s important to develop a multi-channel digital marketing strategy. This guide will walk readers through numerous factors to consider including Adwords, social media, and lead generation. 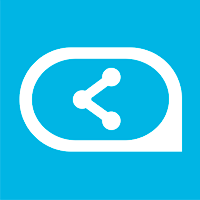 About the Blog: Search Engine Watch is your go-to for daily news and insights focused on search engine marketing, paid search, and SEO. The intent of their content is to provide site owners with the knowledge and ability to be found in search engines, in addition to providing users with in-depth analysis of the search engine industry. Favorite Recent Article: The Ultimate Guide to Content Marketing: This blog post is a complete guide to navigating content marketing. It discusses key findings from their State of Digital Media report on what constitutes solid content, and six ways you can go above and beyond with your content marketing strategy. About the Blog: The Knowledge Bank is a source of unique, data-driven information that offers ongoing education, engagement, and nurture to each of their audiences — from readers who view them exclusively as a resource to better their understanding of marketing to employees staying up-to-date on the industry, to leads on their journey to a decision. It is a place for their team of thought leaders to showcase their expertise; their marketing team to promote relevant offers and content projects, and their sales and client services teams to direct contacts. Favorite Recent Article: How to Market to Senior Citizens: There is a stigma associated with marketing to seniors in that sometimes marketers believe that they are not tech savvy and may not be in tune with the digital world. Senior citizens are one of the largest growing potential audiences for digital advertising and capturing that market could be critical to the success of your next digital advertising campaign. 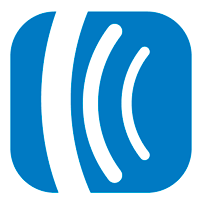 About the Blog: Fishbat’s Blog and Industry News section focuses on current topics related to marketing and digital advertising. They focus on providing transparency and detail on industry trends, digital advertising strategies, and the latest in technological advancements with the goal of sharing breakthroughs and innovations. 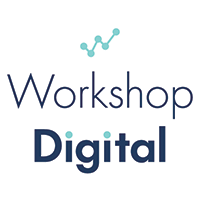 Their typical visitors include current and prospective clients, digital marketers, agencies, and software specialists. Favorite Recent Article: What Email Subject Line Length Works Best: Crafting the ideal email subject headlines can often feel like a daunting task for email marketers. This article presents readers with useful insights for creating an impactful subject headline while addressing questions about word count and length. About the Blog: Marketo is an industry leader in marketing automation and they’re proud to be a company for marketers, by marketers. They provide high-quality solutions for a variety of industries including healthcare, manufacturing, technology, and higher education. Favorite Recent Article: 7 Brand Advocacy Campaigns that Rocked Social Media: The virtual world has changed the traditional word-of-mouth approach to advertising, and nowadays social media is the stomping ground where brands fight for territory, loyal customers, and their place on the social media front. Competition is fierce, and every brand wants to be at the forefront, which means that creativity and stepping outside the box when creating brand advocacy campaigns is a necessity. 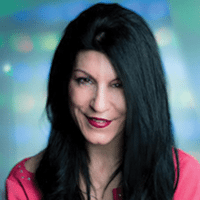 About the Blog: RonSela.com is the home for influencer marketing strategies for B2B content marketers Influencer outreach is about reaching out and connecting with other bloggers to help improve your brand by enhancing the content that you are currently producing. Launching a blogger outreach campaign requires effective planning. Favorite Recent Article: How To Start A Blog: The Ultimate Free Guide: While many dream of being able to own a successful blog that powers significant revenue and authority, getting there requires a tremendous amount of time, energy, and luck. However, with this guide in hand, the prospective blogger or business owner can eliminate questions and potential misfires, and get that new blog started off right. Favorite Recent Article: Writing for the Web Means New Rules: What we learned about writing in school is not the same as writing for the web. Writing blog posts takes practice, but by consistently employing new strategies, you’re on your way. 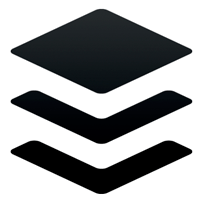 About the Blog: The Strella Social Media blog focuses on online marketing, social media, business and entrepreneurial tips and advice. They have a down-to-earth approach that’s relatable to anyone, in any industry with any level of marketing and social media knowledge. Favorite Recent Article: Marketing Trends: What’s Your One Tip on Marketing Strategy in 2018? : This is an expert roundup post on the best marketing strategy tips in 2018. About the Blog: CrossCap’s Marketing Insights blog is focused on B2B & B2C business marketing strategy and covers many industries including retail, ecommerce, brands, SaaS, pharma, technology, CPGs, quick service restaurants, entertainment and more. 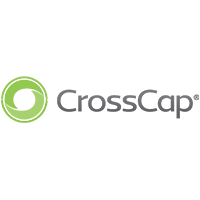 At CrossCap we work with some of the leading global companies and brands such as Walmart, Gap, Target, and Vista Print, and we try to incorporate their knowledge and expertise into our content. Favorite Recent Article: 10 Traits of a Successful Entrepreneur: What makes the difference between an entrepreneur and a “wantrepreneur”? Are you born an entrepreneur or can you learn to become a successful one? This article covers the top 10 traits of successful entrepreneurs. About the Blog: The Bookmark blog covers a variety of subjects that are vital to small business owners and entrepreneurs. Topics mostly revolve around small business marketing tips, marketing growth hacks, web design trends, and actionable strategies to gain a competitive edge as a small business owner. 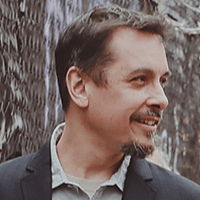 As a pioneer in web design, Bookmark reflects on their own journey to provide their readers and users with actionable posts that could take their business to the next level. Favorite Recent Article: 7 Ways to Improve the Online Shopping Experience: As the lines between e-commerce, brick and mortar, and omnichannel become more blurred, this article has great tips for brands looking to make their online channel a better customer experience. 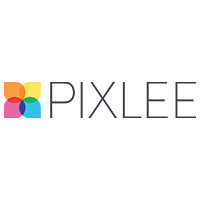 About the Blog: The Pixlee Blog provides insights on the latest trends and innovations in digital marketing, e-commerce, and influencer marketing. With informative posts for all marketers from the CMO to Marketing Managers, we help our audience understand how to build stronger communities and create more authentic marketing with user-generated content. Favorite Recent Article: URLs for SEO: How to create SEO-friendly link: This particular post discusses how companies can utilize their URLs for SEO optimisation. Typically when marketers are discussing SEO they look at things like keywords, meta descriptions, and total tags, but overlook the URL. This post gives actionable advice on how to really make URLs appealing to search engines and users. About the Blog: The Rebrandly blog covers topics on branding, social media and digital marketing. 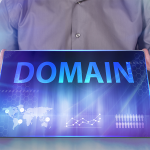 They also have a strong focus on best practices for the management of URLs. Really, it’s their goal to educate marketers on how important links can be to their marketing strategy and how much of an asset they are for both personal and business brands. 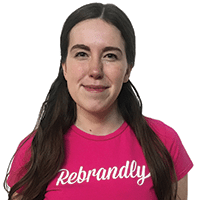 Rebrandly trys to bring a fresh perspective on how to manage branded links and show how this fits with many other areas of digital marketing. Favorite Recent Article: 5 B2B Marketing Trends That Will Shape 2018: In order to establish a marketing strategy that will achieve optimal results, knowledge of the latest B2B marketing trends is essential. From copywriting to multimedia content creation, this blog will give you the answers you need to thrive. 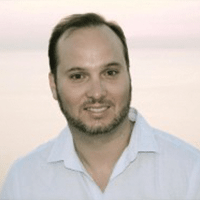 About the Blog: Convince & Convert was founded in 2008 by Jay Baer, who is an industry expert with 24 years of digital marketing experience. Convince & Covert works with a countless assortment of innovative brands to strategize and double their digital presence. They’ve been featured on renowned media sites including the Inc. 5000 list as one of the fastest growing companies in America. Favorite Recent Article: Blogger Outreach: 9 Surprisingly Effective Hacks I Use With Influencers to Blast My Audience: This article looks into some of the best practices on how to do blogger and influencer outreach the right way, and most importantly – how to save hundreds of hours doing that. 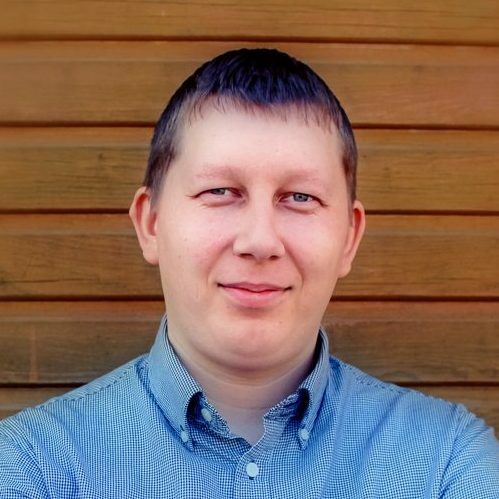 About the blog: Marius has over 14 years experience in the internet marketing field and loves testing and experimenting with new strategies to learn what works and what doesn’t. And he uses his blog to deliver stellar content by way of playing around with the different marketing tactics to achieve optimal results. Favorite Recent Article: 3 New Year’s resolutions for your martech stack in 2018: The intersection of marketing, technology, and management. About the Blog: The Chief Marketing Technologist blog, chiefmartec.com, tracks the marketing technology industry and the profession of marketing technologists and marketing operations leaders. Articles help marketers master these new technologies to move faster, adapt more quickly, and manage an increasingly complex set of customer experience touchpoints. 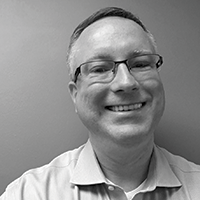 Scott explains how to carve a clear path through that complexity to effectively harness the latest and greatest in marketing innovation. Favorite Recent Article: No-Touch CRO: 11 Ways to Optimize Your Website Without Touching Your Website: Learn how to optimize your website with Ul and page elements such as Sticky Bars and Popups. This approach is called no touch CRO (conversion optimization). About the Blog: The Unbounce blog speaks to an audience of advanced digital marketers who want to learn about conversion rate optimization, landing page optimization, copywriting, design, PPC, content marketing, social media and email marketing — with the ultimate goal of empowering our readers to run more successful and delightful campaigns. They pride themselves on their in-depth content that is both actionable and entertaining. Favorite Recent Article: The State of Social in 2017: The key shifts in the social media industry in 2017, following five areas that are important to Born Social and they believe should be heavily considered in the year to come. 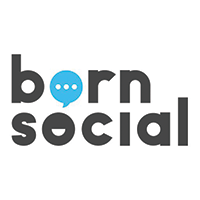 About the Blog: The Born Social blog is a place where the wonderful minds at Born are able to express opinion pieces and findings through their extensive experiences collectively. It includes everything from wide scale social media surveys to pieces on social media advertising, influencer management and video marketing, why they are important and the best practices to get the most from them. Favorite Recent Article: Social Media Strategies for Small Business Owners: Specific , proven social media marketing strategies for small business to follow. The post is a deep brief on social media strategy, tools and tactics that small businesses should utilize to use social to grow their businesses. 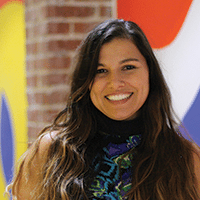 About the Blog: Jasmine Sandler is a 15+ year Digital Marketing Strategist. On the Blog, she shares her client experiences and advice to businesses and marketers on tactics including SEO, Social Media and related channels and tools. 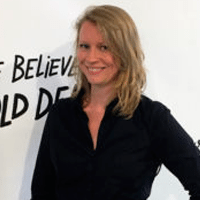 Her mission is to give real, proven advice to business owners and start up CEO’s on Digital Marketing – opportunities, challenges and best practices. Favorite Recent Article: Amazon Alexa, The Need for Better CRM and Trust: People are flocking to these smart speakers. How will your business show up there? And what is missing that you’ll need. 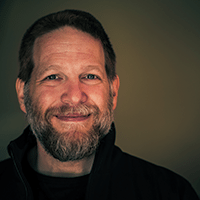 About the Blog: Chrisbrogan.com is a blog for people learning how to improve customer experience. I teach marketing, sales, and customer service concepts that can be applied to companies both small and large. Favorite Recent Article: How to Set a Facebook Ad Budget: This article helps readers figure out how much they should spend on a Facebook ad campaign by working backward from the revenue they need to generate. About the Blog: Social Media Examiner is the world’s largest social media marketing resource. They help millions of businesses discover how to best use social media to connect with customers. Areas of focus include drive traffic, generate awareness and increase sales. Favorite Recent Article: AI marketing Predictions for 2018: AI is the biggest marketing prediction for 2018 but it’s not only about software and robots. Find out how AI will change the way you plan your marketing initiatives. Favorite Recent Article: Worried About Your Millennial Strategy? Top 3 Myths and Truths: This post discusses the myths and truths that exist in regards to successfully marketing to a millennial audience. 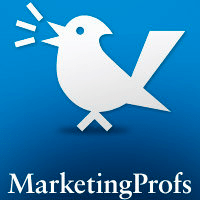 About the Blog: MarketingProfs is marketing’s go-to source for all things marketing: from digital trends (content, SEO, social media, AI, VR) to marketing fundamentals like pricing, segmentation, and strategy. They also offer online seminars, podcasts, and training solutions. Favorite Recent Article: The Definitive Guide to Content Curation: This hands-on guide will teach you how to get started with content curation, by answering the following questions: how, what, and why? 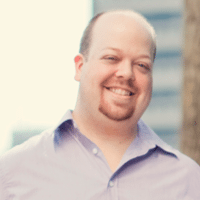 About the Blog: Curata is a content marketing software company based in Boston, MA. Their blog is a forum for marketers to learn and share best practices and tips across all facets of content marketing: strategy, creation, promotion/distribution, and analytics.Curata also offers a weekly newsletter focused on all things content marketing, free to all subscribers. Favorite Recent Article: Can We Share Reality in a Post-Truth Fairytale? – Archie Bunker Says Yes: In a post-truth environment, all narratives fall flat, including the brand and product narratives in which companies and consumers mutually participate. Yet business leaders are uniquely poised to recover the ingredients that united us, by reminding us of all there was and remains to share. About the Blog: The Corporate Story (TCS) examines business aspirations through the lens of our universal language–the capacity for a story. This ongoing project by MadPipe unpacks topics in marketing, business education, and organizational transformation, always with a compelling arc and a reference to the already-familiar. Favorite Recent Article: How to Create Instagram-Worthy Photos to Grow Your Account: In today’s social media-soaked world, you need to go over and above by flexing your post-processing and photography skills to create an image that truly shines. With a bit of practice, knowledge, and patience, most businesses can become at least semi-proficient in taking Instagram-worthy photos. They recommend starting your journey with these impressive insider secrets. About the Blog: The AWeber blog is your go-to resource for everything email marketing. You’ll learn how to quickly move your business forward with advice on how to build your subscriber list, optimize your marketing funnel, automate your marketing efforts, increase your open and click-through rates, and more. You’ll also receive little-known writing tips and battle-tested email marketing strategies that can be applied to any business. Check it out! Favorite Recent Article: 2018 Paid Search Trends & Predictions: This blog post combines the most talked about paid search trends and predictions of 2018 in five categories: Social Media, Conversational UI, Better Targeting, Automation, and Attribution. Favorite Recent Article: Best Times to Post on Social Media: 2018 Industry Research: With all of the recent changes to social media algorithms, engagement is increasingly difficult to come by. One way to get a bit of an edge is to share content when your audience is most likely to see it. Using internal date, Sprout Social Insights analyzed engagement across thousands of social media accounts in various industries to determine what days and time brands see the most engagement on social media. About the blog: Insights is a social media marketing blog that helps businesses learn how to use social media to build their brand, get more engagement and grow their audience. Topics range from basic subjects like how to get more Instagram followers, to more advanced/technical topics like how to perform social media competitive analysis or how to use UTM parameters for tracking. Favorite Recent Article: How Voice Search Will Impact on Business in the Next 3 Years: The impact of voice is huge, but what we love about the content of the post is that the fundamentals of good SEO are the same. 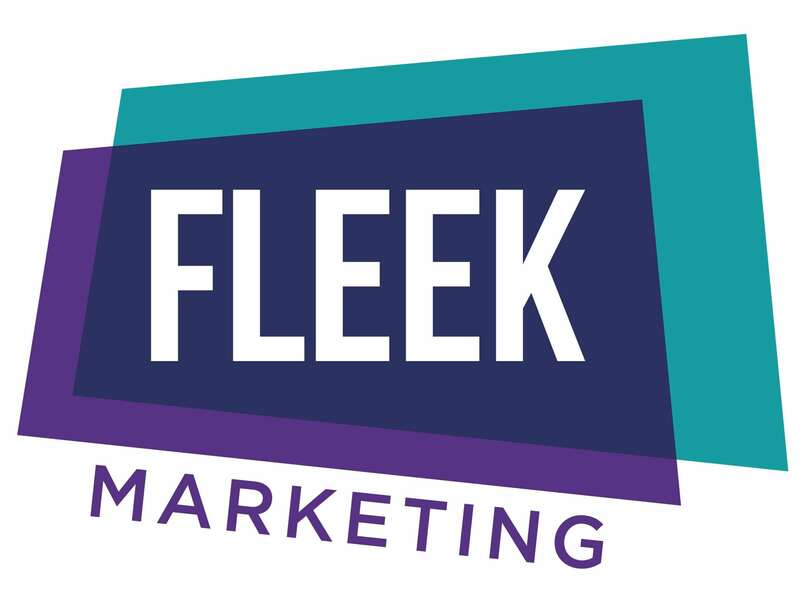 In this article, Fleek Marketing delivers opportunities businesses can jump on before the likes of Google and Amazon to monetize this. 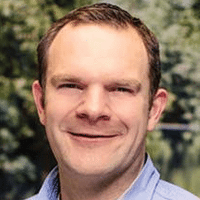 About the blog: Jonny Ross from Fleek Marketing has been blogging for over 8 years now, on all things digital marketing. 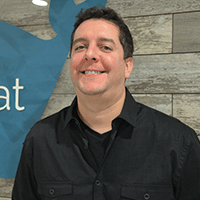 His passions and background are deeply rooted in SEO, he is an early adopter and has been working with social media since the age of forums and newsgroups in the 1980’s. The blog is full of resources and tricks and tips for business owners and marketing directors/managers. 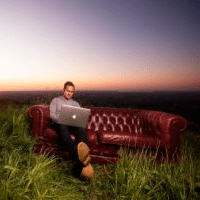 His rich content blogs are in-depth and bursting with energy, help and advice! Favorite Recent Article: SEO: Make Search Engines Love Your Website: SEO or Search Engine Optimization is a process focused on growing your website’s visibility on search engines. 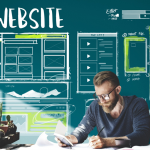 Website promotion can be a strenuous task, but it’ll be worth the effort once you’re done with it and are ready to reap the fruits of your labor. Learn how to make Google love your website with this tried-and-tested techniques that will bolster your promotion endeavors. About the blog: Ucraft is a website building company, with diligent developers, creative designers, and enthusiastic marketing specialists! Its professional content team writes helpful how-to articles, tips and handbooks on topics of marketing, DIY, design, SEO, web, business, etc. in addition to sharing real-world examples of the above mentioned topics that really deliver results. Follow their blog for latest news, SaaS industry insights and web design trends. Enhance your online presence with tactics and advice from Ucraft. Favorite Recent Article: Complete Guide to Optimizing Your Google My Business Listing: As Google continues to evolve it’s search engine to be “geo” focused, small businesses need to understand the intricacies involved in competing for online real estate. This article covers all the details need to rank your Google My Business listing high in the local pack. About the blog: The ChamberofCommerce.com Business Advice Blog provides businesses with the tools, tactics and insights needed to grow their business online. The blog focuses on marketing strategies that small businesses can leverage to gain a competitive edge on their local competition. 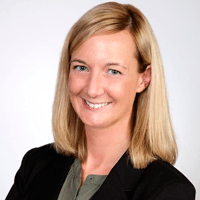 Katie Biggs is a digital marketing and communications specialist at Fit Small Business. She has a Masters in Public Relations and experience in corporate PR, social media, and event management. Such a great leading marketing blogs/bloggers like Neil Patel, Moz, Search Engine Watch, Marketo etc.. All one place. Thanks for the efforts of Sharing with us.